The X330 is one of the most economical ways to mow well fast. 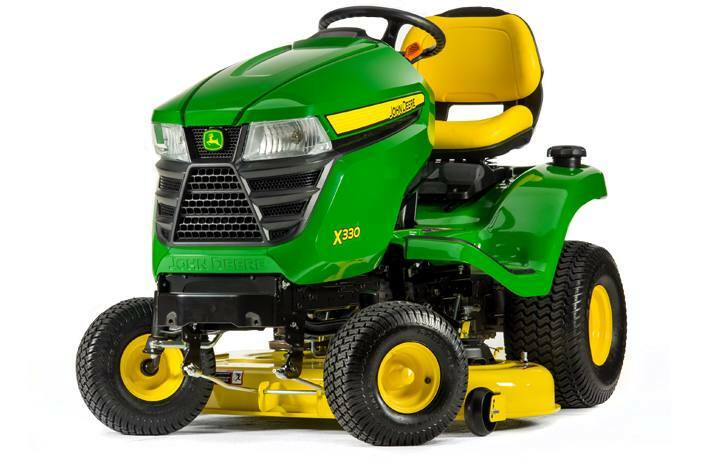 Starting at just $2,999*, the X330 features the new 42-in Accel Deep™ Mower Deck, designed to mow well fast, a 20-hp Cyclonic engine for power and value, and, of course, legendary John Deere durability and reliability. That's a lot of ability.